Home » Flavours Blog » Competition Time – LOVE ITALY Giveaway! With winter in the air and temperatures falling, we cheer ourselves up with memories of summer and holidays in Italy as we’re looking at our new brochure. 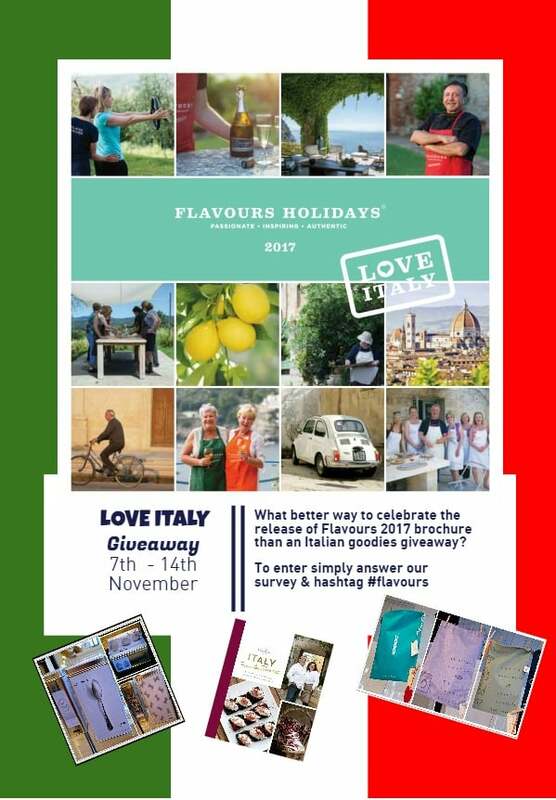 So we thought what better way to celebrate the release of Flavours Holidays 2017 brochure than a Flavours Holidays giveaway? 3 Travel bags by the contemporary design brand Seletti, so you can always travel in style! 3 Storage tins for sugar, coffee and tea bags in black and white by Seletti.